High tech products are available to suppress and eliminate electrolysis. We have the products to fill your order, and knowledge to answer your questions. How do I know if I have electrolysis? Where can I find products to reduce, arrest, absorb, and eliminate electrolysis? Why doesn't my mechanic know more about electrolysis? Who is the best person to fix my electrolysis problem? When is my electrolysis problem going to end? My car is in the shop. The dealer says I have electrolysis and need to replace the engine. Why? I'm not a mechanic. Do you have a list of other Auto Shops with Electrolysis experience? l heard distilled water is recommended to use in my cooling system. But you say not necessarily. What gives? I use water wetter in my cooling system and really like it. But you say it might contribute to electrolysis. Is this true? Automotive electrolysis generally manifests itself in the (repeat) failure of aluminum cooling system components. Most often it is only suspected after 3-4 failures have occurred. Aluminum is very susceptible to damage from electrolysis, and has no natural resistance to it. To test for the presence of electrolysis start here. Where can I find products designed to reduce, arrest, absorb, and eliminate electrolysis? The science continually improves, and we are the beneficiary of ways to reduce electrolysis to a low enough level so that it is no longer a threat. Available products are featured here. Electrolysis is a phenomena that has only recently reared it's head. It is a very specialized type of failure that requires very specialized treatments. Vehicles that use a combination of long life coolants and aluminum cooling system heat exchangers are particularly vulnerable to electrolysis. If your mechanic doesn't know about electrolysis right now, he will soon. Please forward this resource to him. You are! You have already unlocked some secrets about electrolysis, Now with just some elbow grease, chemistry, and determination, you can make a change that will allow aluminum to survive. While dropping the vehicle off at the shop may be easier, the testing and flushing procedures can be done by anyone. Men and Women from all over North America buy and use our products to combat electrolysis. Even Grandma's from Montana (it's true). By introducing a more attractive metal material in the cooling system, stray electrolysis will move to it. Automatically. It is called a sacrificial anode, and it will absorb (some of) the energy of the electrolysis. When a vehicle has a serious electrolysis problem the anode alone is not sufficient, flushing is required to help make the change faster with the use of chemistry. The anode is attached to the radiator cap, it is very easy to install, check or replace. There are different part numbers for the anodes, as it is dependent on the vehicle Make-Model-Year. Anodes are in stock. If you really want to learn more about the anodic and cathodic properties of metals, a shortened version of the nobility chart is archived here. When is my electrolysis nightmare ever going to end,? I've replaced 3 heaters and 2 radiators in 2 years. Soon! You're almost there! You are only 3 steps away from getting rid of electrolysis failures: Measure it, Classify it, Treat it. Start here. My car is in the shop. I've replace 2-3 radiators (or heaters) in the past year. The dealer says I need to replace the engine or sell the car. I'm not doing either. What can I do? 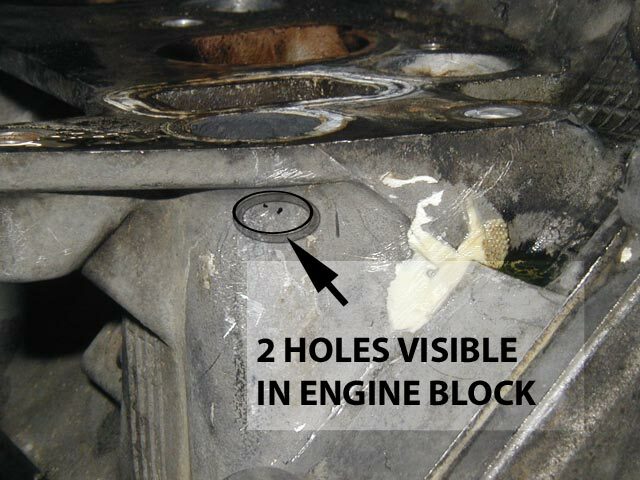 When the source of the electrolysis has been identified as coming from the engine, it is common to suggest that the engine be replaced (i.e. : if the engine were replaced-the electrolysis would vanish). However, if spending $5000.-$6000. isn't what you had in mind, then treating the electrolysis problem in place begins to sound better. Many times shops just don't know that remediation treatments are available. Tell them. Have them contact me. I speak their language. Yes, we can help you. We fully realize that not everyone has the same comfort level with auto repair, especially when the problems are complex and the solutions seem unconventional. We are always ready to help. Additionally, we have worked with many auto shops in many states, and can recommend them as having experience dealing with electrolysis. For an interactive locating map of these shops, click here.